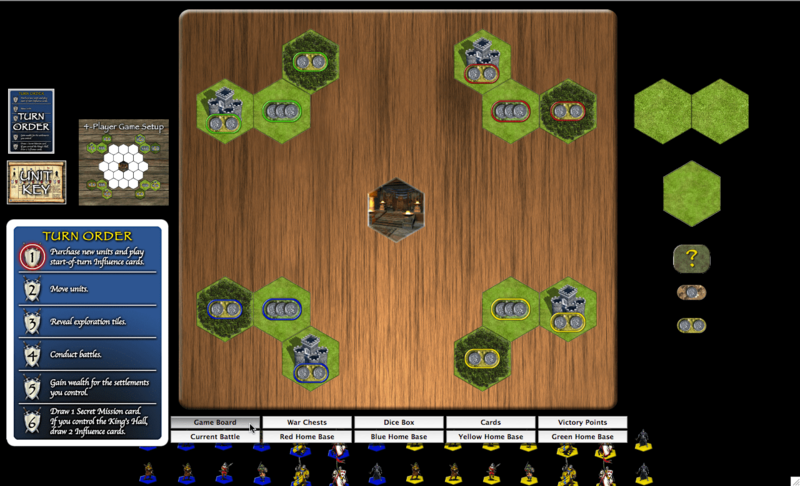 “Feudal Ops” is a BGE digital boardgame conversion and complete re-theme of the “Nexus Ops” boardgame, by Charlie Catino (published by Avalon Hill in 2005, but now out-of-print). 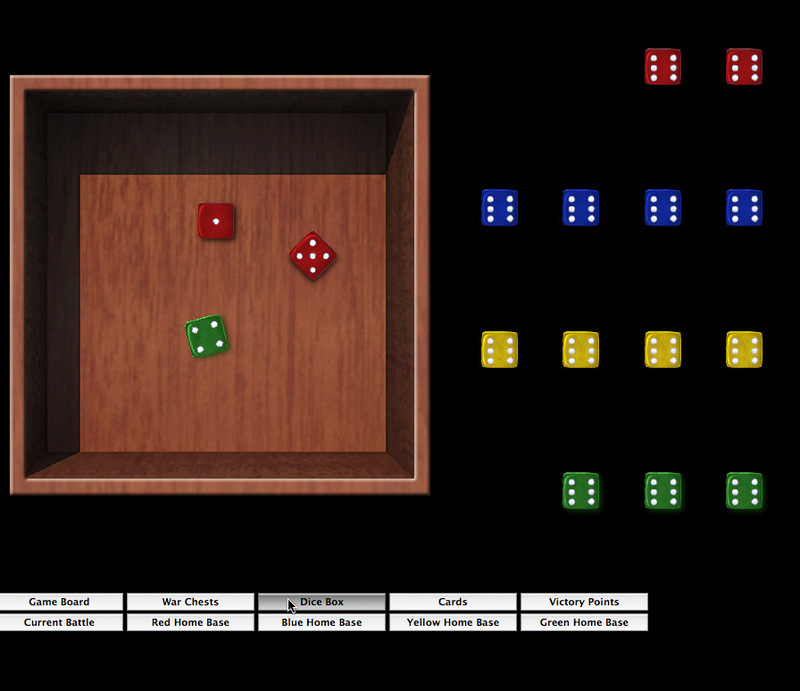 It is played using the rules from Nexus Ops, which can be downloaded from the Avalon Hill website. 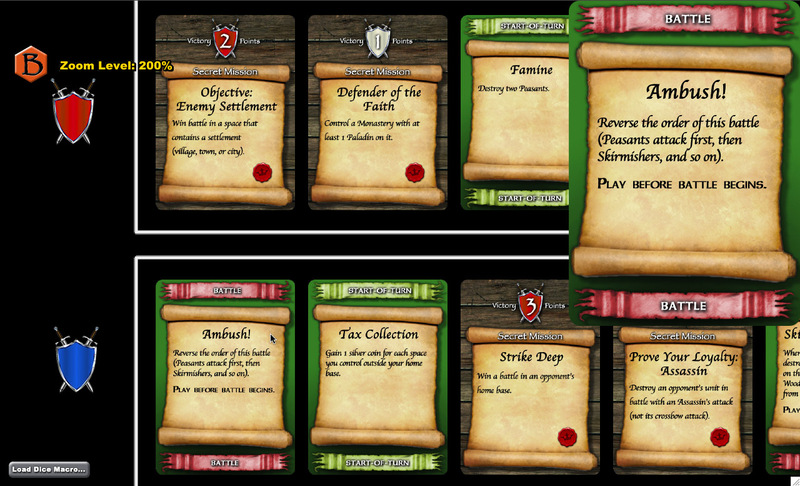 “Feudal Ops” changes the “Nexus Ops” game setting from one of science-fiction to one of warring medieval factions, and it does so without changing (or adding) any game rules. 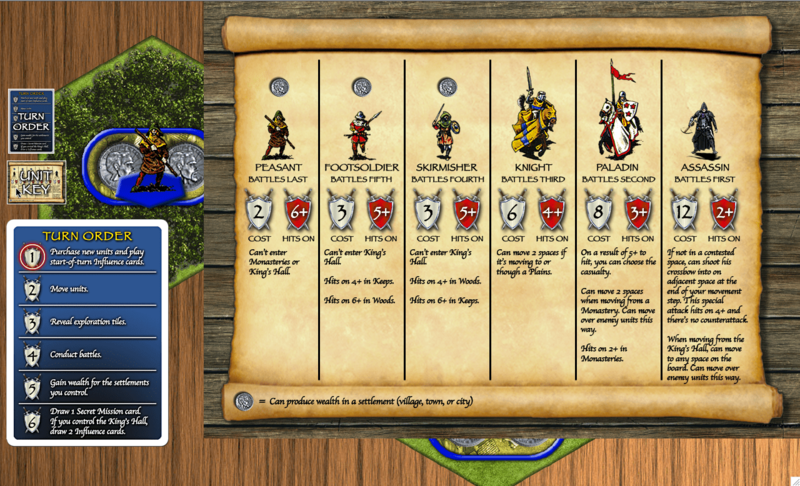 “Feudal Ops” is a light-medium war game. 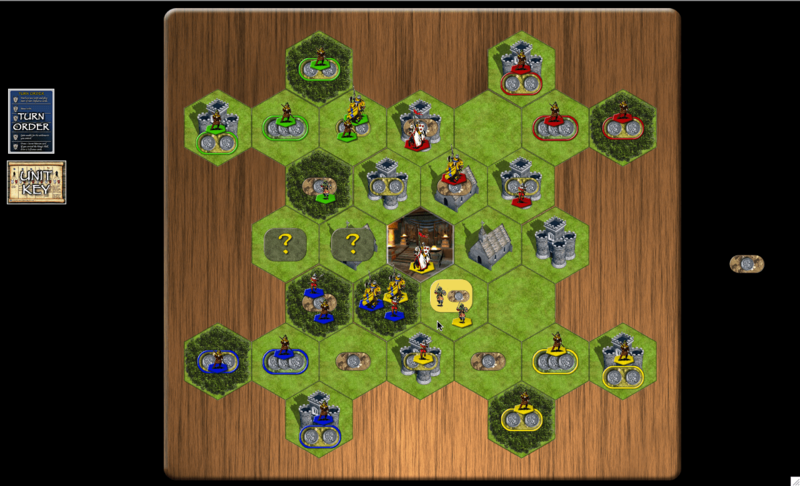 The game boasts a hexagonal board that is dealt differently every time. 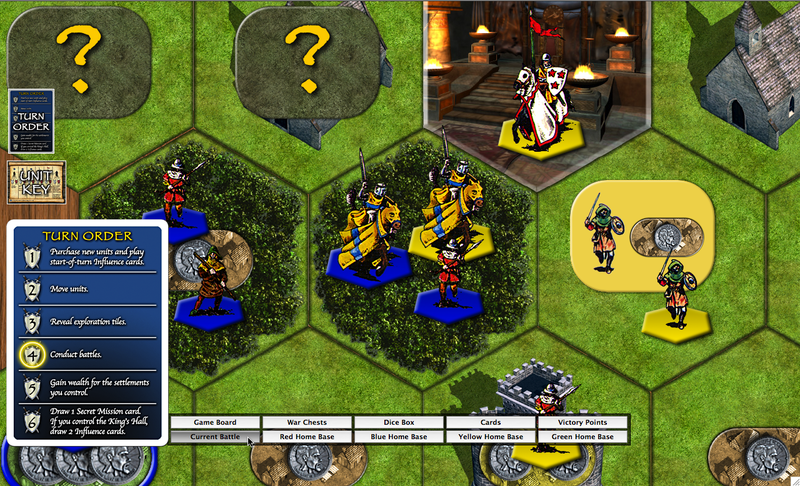 Players assume the role of medieval Lords that battle each other for control of the region’s wealth and compete with each other for the King’s favor. 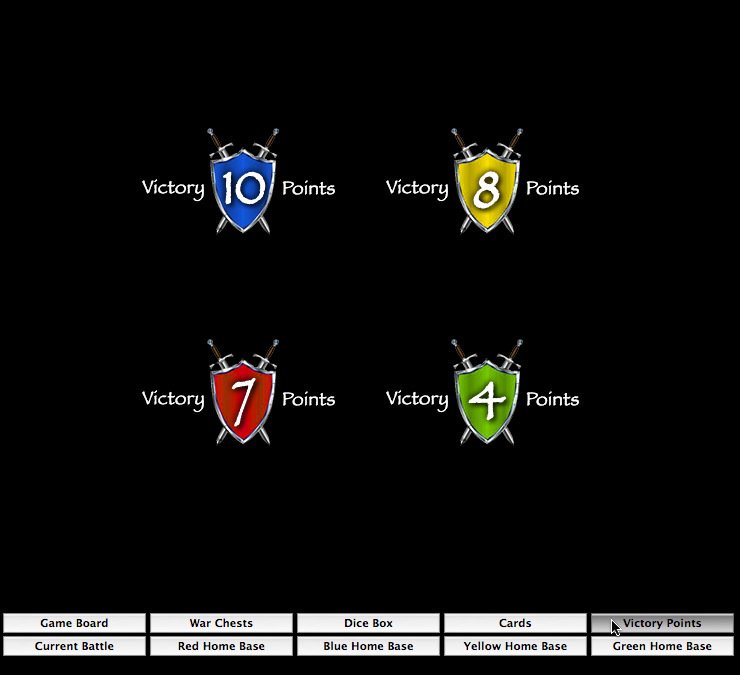 By winning battles and fulfilling Secret Missions, the players can obtain victory points. 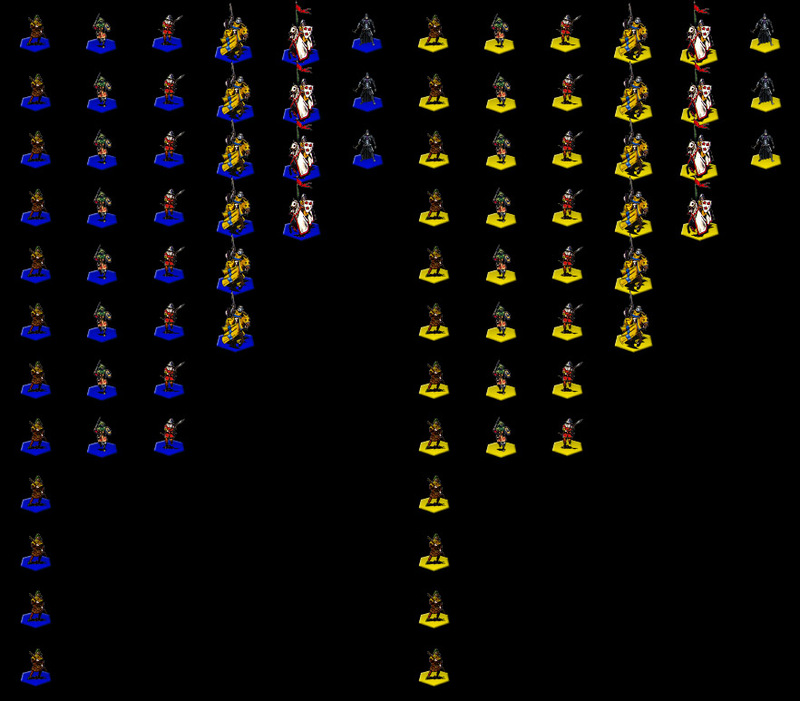 The first person to reach the required number of victory points wins the game. The above download contains everything needed to play the game if you already have at least one Gamer Client license (v1.0 or higher). For multiplayer games, the extra players will either need a Gamer Client of their own, or they can use the free BGE Demo if the person hosting the game has enough free Player Slots available for them to use. Installation and usage instructions are included in the download. Below are some preview images to show how the game looks. Click on each thumbnail to view the image at full-size. I think this re-theme might be of interest to anyone who likes Nexus Ops but isn’t crazy about the original sci-fi theme, and/or the graphic design of the latest FFG edition of the game. • New backstory: In Feudal Ops, the players are medieval Lords vying for the King’s favor. Whoever collects 12 Victory Points first will curry the King’s favor and be named Baron of the region. • Rubium has been changed to gold and silver (1 gold is worth 5 silver). 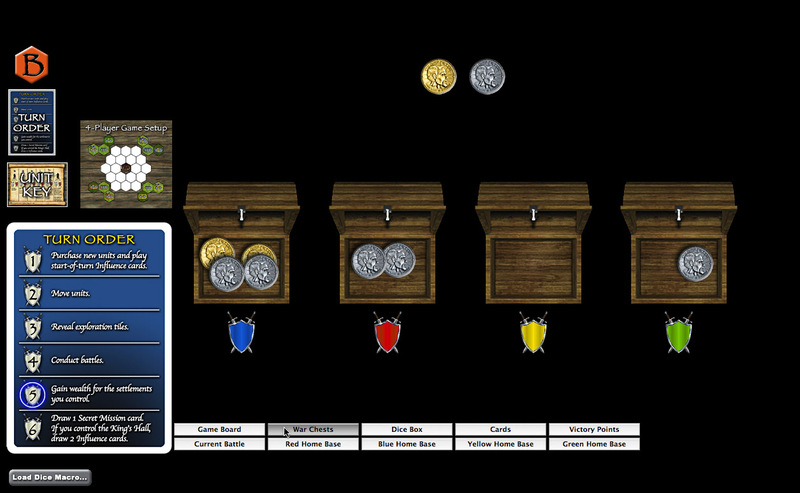 • Mines have been changed to settlements. Specifically, 1-point mines are now villages, 2-point mines are now towns, and 3-point mines are now cities. • Energize cards are now called Influence cards. • The text on all of the cards has been changed to fit the new theme. • Terrain types and unit types completely changed (see below). • Liquifungus Forest has been changed to Keep. • Crystal Spires has been changed to Woods. • Rock Plains has been changed to Plains. • Magma Pool has been changed to Monastery. • Monolith hex has been changed to King’s Hall. • Human has been changed to Peasant. • Fungoid has been changed to Footsoldier. • Crystalline has been changed to Skirmisher. • Rock Strider has been changed to Knight. • Lava Leaper has been changed to Paladin. • Rubium Dragon has been changed to Assassin (and the dragon breath special attack has been changed to a crossbow attack). 1) An internet connection is required to play this game conversion (even if playing solo). 2) This free game conversion differs from other game conversions I’ve done in that it may not always remain available for download, and even if you already downloaded it, it may cease to work. There is a “kill switch” in place just in case Avalon Hill/Hasbro/FFG has a problem with this game conversion (not very likely, since this is a total re-theme with all-new artwork, and I am not including the game rules). 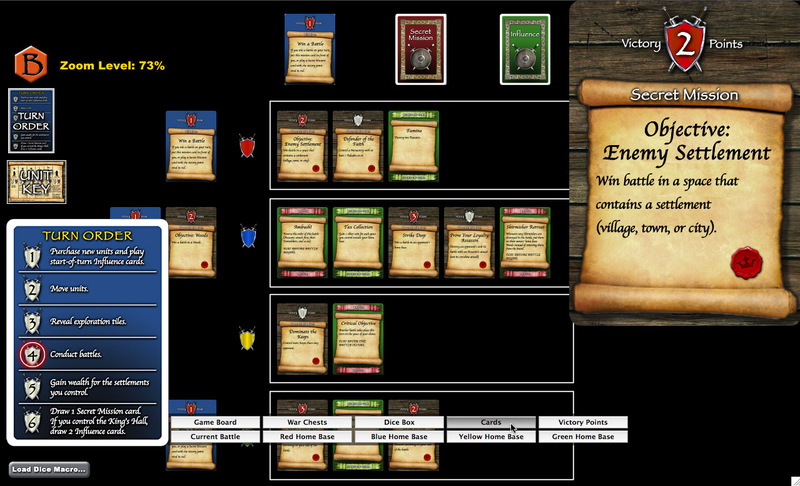 By the way, if you’re interested in playing Feudal Ops and are looking for opponents, please look here. I wasn’t too happy with the Woods tile in this digital conversion. It was serviceable, but not very attractive, and it didn’t seem to mesh well with the other tiles. So I created a new one, and am posting it here in case anyone else wants to use it. The pictures above show the new woods tile in use. To install, unzip the attached file and place the resulting folder in BGE’s “Components” folder. Then use BGE’s “Batch Import” command and select this folder. If you already had a “Feudal Ops” Game File loaded, you will need to use the “Purge/Refresh Artpacks” command to see the new Woods tiles.